Like previous Windows betas from Microsoft, Windows 8 Preview for developers and consumers has its watermark saying ‘Windows 8 Consumer Preview Evaluation Copy. Build 8250’ depending on what build and version you’re using. Some users may find that watermark extra annoying. If you’re one of those users who find it annoying and would like to remove it, you have two options: remove it or hide it every time you change the wallpaper. 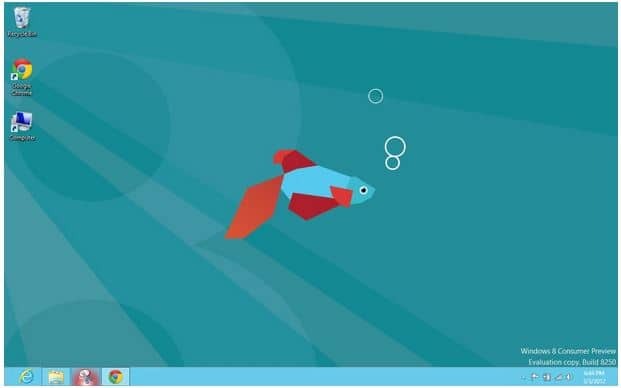 XDA-developer member named kwadie found out a way to completely remove the watermark from Windows 8 beta. You can remove it too by following the instructions he provided. I tried this myself and it apparently works. 1. First, download the ZIP file from MediaFire. Save the file in your desktop or somewhere else. 2. Open the No WaterMark.ZIP you downloaded and install InstallTakeOwnership.reg from the Take Owenership folder. 3. Navigate to Windows\System32\en-US, locate shell32.dll.mui, right-click it and select Take Ownership. Select Yes. Do the same for basebrd.dll.mui which can be found at Windows\Branding\Basebrd\en-US. Completely close the Windows Explorer. 4. Now go to the No WaterMark.ZIP folder, navigate to Edited Files folder and drag and replace the shell32.dll.mui to Windows\System32\en-US. Copy and replace basebrd.dll.mui from Edited Files to Windows\Branding\Basebrd\en-US. 6. Type mcbuilder in the command prompt. Hit enter and wait until it finish which should take about 10 seconds. Restart your computer. The Watermark should now be removed from your desktop. If the Watermark is still showing up on your desktop and you followed all instructions correctly, change the theme or background wallpaper from Personalization. If you don’t want to do all the steps above or if it didn’t work for you, you can easily hide the Watermak as well. 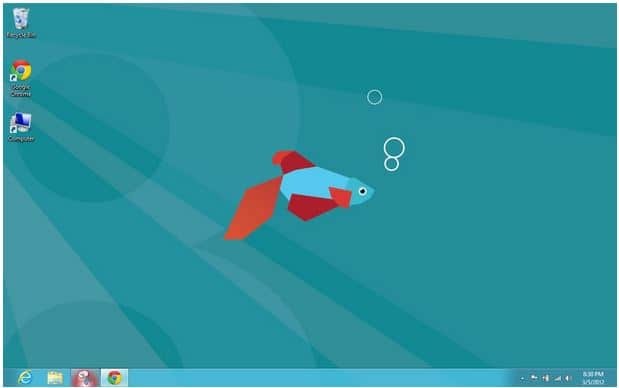 To hide the watermark, first unlock the taskbar by right-clicking the taskbar and unchecking the Lock the taskbar option. Then move the taskbar to the top of the screen. Now lock the taskbar again and go to Perzonalization by right-clicking the desktop and selecting Personalize. Click Desktop Background change the background image and picture posistion until the watermark disappear. Finally, drag the taskbar down and lock it. Unlike the first method, this will just hide the watermark so if you change your wallpaper or theme you will have to do the steps again.